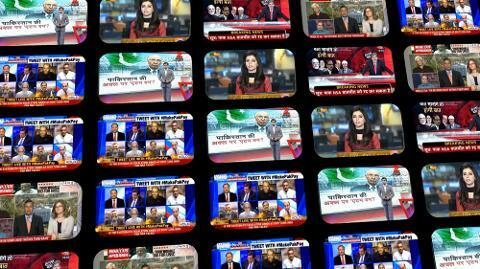 World Is Cracking Down On Fake News: Is Pakistan Media At Serious Risk? After Donald Trump brought the problem of ‘fake news’ and ‘alternative facts’ to the attention of the world, internet editors have begun to ask questions about the credibility of so-called ‘news’ sources. The latest sign of a widespread crack down on fake news is the announcement that Wikipedia has banned using UK newspaper Daily Mail as a source, terming it as ‘generally unreliable‘. This is a major development because it is banning of a newspaper that was founded 120 years ago, not some shadowy website that popped up over night. With wide spread concern about the ill effects of ‘fake news’, banning of Daily Mail may be just the beginning, and Pakistan media may be at serious risk. Since the past several years, dozens of fake news sites in Pakistan have been exposed. The most famous example was blog Cafe Pyala that shined the light on shadowy propaganda rings that appeared close to the deep state including even a Pakistani fake news source called ‘Daily Mail‘! Then last year an APP report may have accidentally busted another fake news operation with ties to ISI. Tight control of Pakistan media by Army is already well reported in international media. In 2015, The Guardian published an expose about Army officials threatening journalists and forcing them to self-censor. How can such media be deemed as reliable if it is well known that it is threatened and coerced by Army? These threats have again come under view after a group of bloggers who dared question Army mysteriously disappeared earlier this year, resulting in new global attention to the dangerous turn of censorship in Pakistan. However, it’s not just censorship that threatens the credibility of Pakistan media as a whole, it is also the number of obvious deep state puppets who dominate the media. There are the obvious jokers like Ahmed Quraishi and Zaid Hamid, but there are also the more ‘serious’ journalists like Mubashir Lucman, whose fake news cost ARY millions after being judged by an international court, or Moeed Pirzada who is widely seen as close to the establishment. As the world makes moves to limit the negative influence of fake news, will Pakistani media find itself caught between the rock of international questions and the hard place of establishment operations to keep tight control over national discussions? If UK Daily Mail is termed as ‘generally unreliable’, what can we say about most of Pakistani news? As the world community takes on the problem of fake news, Pakistani media will be facing a lot of difficult choices. Over the past year the world’s attention has been drawn to the issue of ‘fake news‘. This has been mostly as a result of the dramatic US election, but as with many issues, in this case it is not a new phenomenon so much as it is a case of once again Americans are late to the party. In Pakistan, fake news is nothing new. Actually, it’s our national addiction. We have a long history of publishing fake news about military victories. 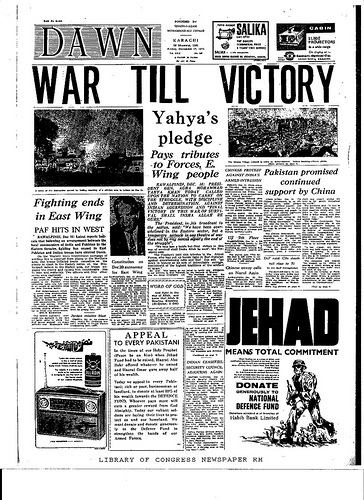 The headlines from 1971 are now legendary and every year we celebrate victory in a war we didn’t really win. Over the past few years, our ‘victory‘ over terrorists was reported every few months, only to be followed by another terrorist attack. Fake news websites declaring our intelligence agencies ‘best in the world‘ appear and are reported every year, and who can forget Ahmed Quraishi actually writing a piece defending fake news! But let’s be fair. While security agencies and their shadowy supporters are most often pointed to for spreading fake news, they are by no means the only guilty party. In recent days we have seen a case where the government news agency reported that BBC was investigating its reporter for planting a fake story against the PM, only to have the BBC immediately deny their report. This is a particularly fascinating case. Did the government really think they could get away with faking a story about BBC and that BBC would not respond? Aren’t they humiliated? Not likely. Just like with every other case of fake news, the idea was most likely that the original report would be spread far and wide while the denial would be shared among those elites who already questioned the authenticity of APP’s report. Both stories only strengthen the existing views of those who read them. Even the opposition uses fake news. You have probably seen media reports about PPP chairman Asif Ali Zardari being ‘invited‘ to attend Donald Trump’s swearing in ceremonies. A senior PPP leader told The Nation, that Zardari had been invited to Trump’s inauguration and he would fly to the US to attend it. “Bilawal has also been invited but he may not go due to party engagement. Zardari will not be in the US for long,” he said. This has been followed with social media posts of photos of Zardari along with Sherry Rehman and Rehman Malik attending various functions in Washington DC. The PPP leaders may be in Washington, but they went on their own, not by any invitation. 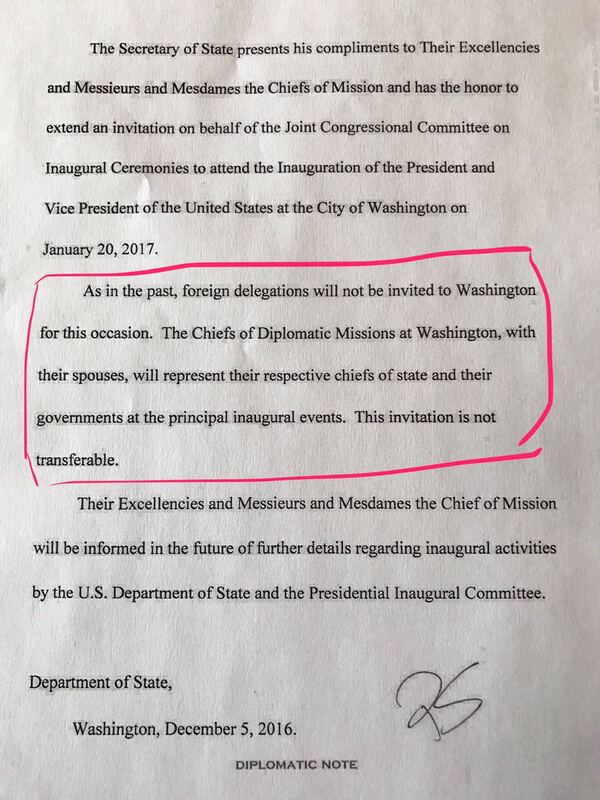 According to a document from the US Department of State, “foreign delegations will not be invited to Washington for this occasion”. Once again the question must be asked why a senior PPP leader told the media that Zardari had been ‘invited’ when he clearly had not? The obvious answer is just like the government’s decision to report a fake story about BBC. Even if opponents will read the correction and feel vindicated in their beliefs, supporters will read the fake story and feel pride and spread it to their friends. So what is the harm in all this fake news if everyone is doing it? At a time when we have finally reached agreement that the need of the hour is national unity, our addiction to fake news is standing in the way of our success. If we cannot even agree on a set of facts, how can we ever agree on a solution? The following op-ed was originally published by The Nation on 26th Dec. It was quickly deleted from the newspaper’s website due to unknown orders from unknown offices. We are re-posting the piece in accordance with Articles 19 and 19(A) of the Constitution which guarantee “the right to freedom of speech and expression, and…freedom of the press” as well as “the right to have access to information in all matters of public importance”. So Pakistan’s public will be made to bear the cost of about three million pounds damages and costs for the case filed by Mir Shakil-ur-Rehman (MSR) of the Jang/ Geo group against ARY channel for Mubashir Luqman’s twenty four libelous shows. This will be the result of the UK High Court’s verdict against ARY for twenty four unbridled and defamatory programmes by Mubashir Lucman against MSR whilst at ARY. But the UK court didn’t ask the citizens to pay, you might remark. And you would be right to remark thus. The court has stipulated ARY to pay out for damaging MSR’s reputation and endangering his life, as a lesson to ARY (and others) to not indulge in such activities. 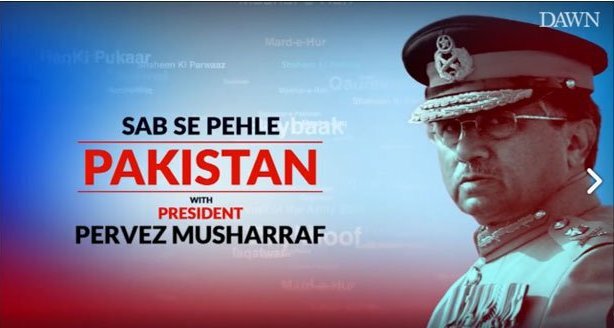 But imagine: will the owner of ARY channel Salman Iqbal take this lying down, when he has no dog in the game except support from ‘the agencies’? A one-time loss he might even be willing to bear. But given the slew of cases now being filed in the United Kingdom against ARY (including by the strongest Pakistani industrialist, Mian Mansha, and human rights activist Malala’s father) he would be inclined to bill the agencies for this bill, to set a precedent and basis for them footing the bills for all he has been doing at their behest. Which brings us back to ‘Pakistan’s premier intelligence agency’. Salman Iqbal will likely forward the bill to them. And ‘they’ should rightly pay. But what does that mean for us, the citizens? What it means is that in addition to its already invisible and unaccountable budget, millions of further pounds will have to be allocated, such that it can pay the bills for the new trend in foreign suits. Is this, then, not the time for the people and the parliament to renew calls to bring the ‘the primary intelligence agency’ under democratic and financial oversight? This latest ARY casualty would just serve as the peg, the actual thousand leagues under the sea that is ‘the intelligence agency’ being the real target. But here I must make a very important correction: in recent years the PR arm of the military has been a veritable arm of the military’s intelligence agencies, with the head of said PR agency, while leading the onslaught of military chief’s PR campaign, leading social media attacks on human rights and democracy activists, and leading social media attacks on ‘anti-nationalists’ and ‘ghaddars’ with his bevvy of the ‘Baloch girl’ army, has been reigning supreme. So will this PR agency be made to pay part of the ARY bills (present and future)? Clearly, whilst ARY is now somewhat chained because of its broadcasts in the UK, BOL will carry on unfettered (to my knowledge it does not broadcast in other jurisdictions, and will cancel any plans to do so because of the ARY fiasco). But what all this means is that we, the Pakistani citizens, will end up paying more for attacks against us, in the shape of (nontransparent) higher budgets for the country’s premier PR and intelligence agencies. Moving on to Qazi Faez Isa and Najam Sethi’s take on the report: I was one of the first persons to identify the gaping hole in the honourable justice’s report. That of not holding the Frontier Corp (FC) to account in any manner for the Quetta horror, obliterating in one fell an entire generation of lawyers and activists. But Sethi saheb’s editorial of last Friday, whilst correctly criticizing Justice Isa’s report for not holding security agencies to account, ‘doth protest too much’ against the criticism of Chaudhry Nisar, the Interior Minister. Not a word spoken against him in the Quetta Commission Report is untrue. Did he not ignore all requests to proscribe Jamat-ul-Ahrar and Jamat-ud-Dawa Al Almi for months despite their claims (and no evidence to the contrary) of having perpetrated the Quetta lawyers massacre? Was he not caught hiding behind NACTA, which was hiding behind the ISI, which said, ‘they should have done their job per the law (despite the unwritten norms with regard to us’? Whilst I’m the first one to agree with Sethi sahib regarding the egregious oversight with regard to security agencies far as the Quetta Inquiry Commission report is concerned, I am not with him in trying to exonerate the Minister of Interior. I understand that what Sethi saheb is saying is that this is unfair. But then rather than exonerate the boys’ man Chaudhry Nisar, why not question ‘them’? Why not try and expose ‘them’ rather than shield elements in the government? Let Chaudhry Nisar be the first casualty. Only after might we be able to reach his enablers? My most humble submission to Sethi saheb: let’s catch what we can; only it can lead to the elements we have never been able to ‘catch’. Let’s not exonerate obvious culprits. Let’s try and get through to culprits via culprits. Due to the “absence of adequate evidence”, the Scotland Yard cleared, MQM chief Altaf Hussain in the money laundering case. According to Pakistan media, Metropolitan Police confirmed it that the investigation into the money laundering case against the MQM chief and others has been concluded. Altaf Hussain was facing the media trial on the above mentioned case for more than three years. While his case was under investigation by the Law Enforcers of United Kingdom, the electronic media in Pakistan had convicted him with the crime. 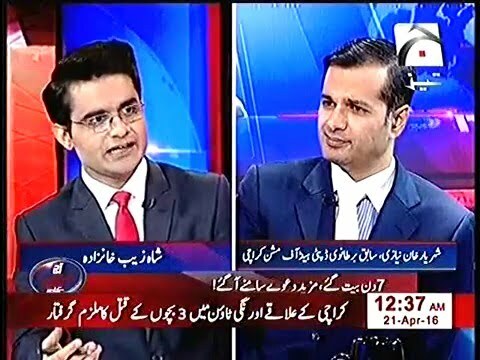 Pakistani electronic media especially the evening talk shows are losing the credibility among the viewers. They have become more like a noise box than informative medium for the public. When it comes to journalistic ethics and norms, Pakistan electronic media has opted it out for the choice “Pay as you go” trend. The International Journal of Communication from the University of Southern California did a study called “Beyond the Western masses: Demography and Pakistani Media Credibility Perception” based on survey. The study examined Pakistani media’s credibility among the people of Pakistan with respect to their ethnic backgrounds. They found out that ethnicity is a key indicator in predicting media credibility. According to their result, the minority ethnic groups tend to find domestic television to be less credible, and international television to be more credible, than do members of the majority Punjabi group. 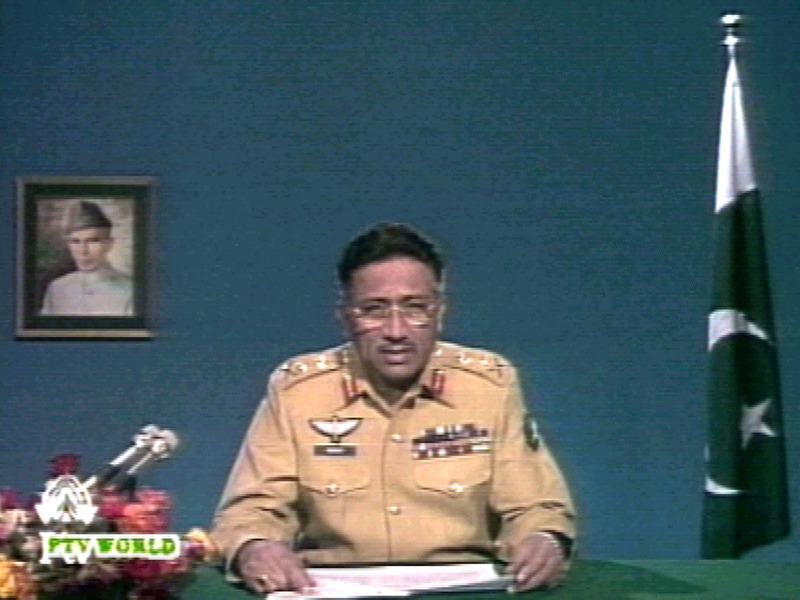 In the study, “local television” was used for any type of television channel run by government or private media companies and serviced through aerial or cable/satellite connections in Pakistan, distinguishable from international television. But according to survey, in Pakistan the International media like CNN, BBC, and Al-Jazeera has smaller audiences as compared to Urdu-speaking channels.